This year I had a special gift - my baby sister Miranda! We share the same birth day date - Dec 27th! Since Mommy was in the hospital giving birth to Miranda, I had a great party with my Daddy for my birthday. 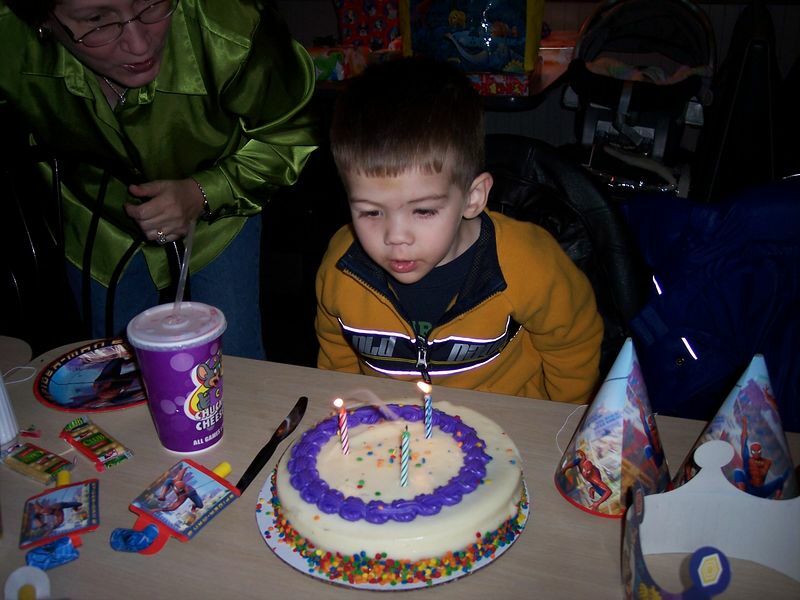 We made up for it a couple of days later with a belated birthday celecration at Chuck-e-cheese! I had two birthday parties!! I'm a very lucky boy! Look who is 3 celebrating at Chuck-e-cheese!